When the last chapter of Neon Genesis Evangelion aired on Japanese television, many fans were put off with what appeared to be a very confusing ending... including Evangelion's creator, Anno Hideaki. As a result, Hideaki went back through the series and put together two motion pictures, which depict an alternate ending to the Evangelion saga... what some would say should be the TRUE ending. The first part of the movie, "Death," recounts the series through episodes 1-24, with new footage added to clear up unclear spots in the series. 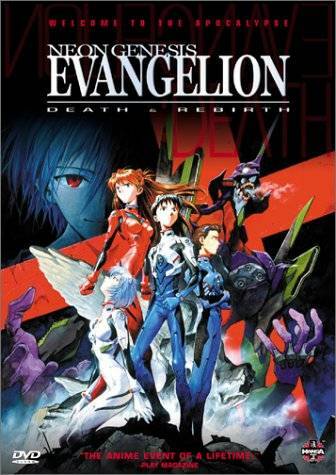 The second part, "Rebirth," is actually the first thirty minutes of the second movie, The End of Evangelion, which sets the scene for what is to happen next.